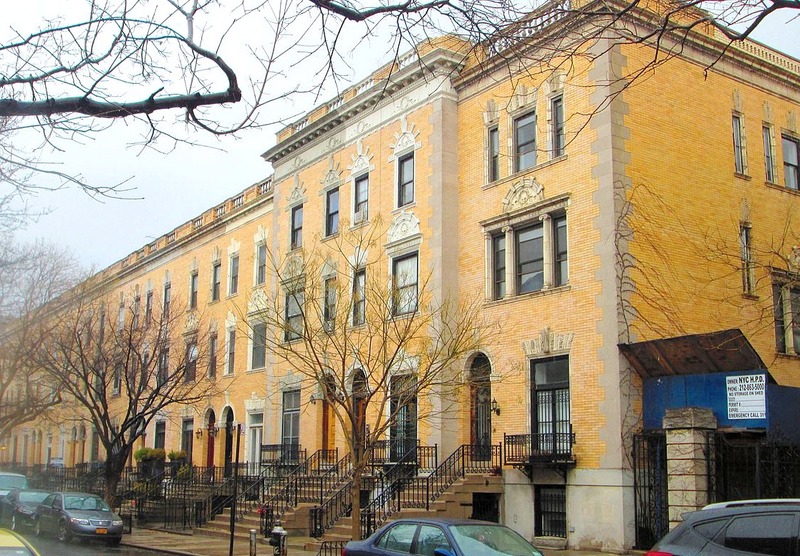 Strivers’ Row took shape in 1891 when developer David H. King Jr. hired three architecture firms to erect the elegant structures, then known as the “King Model Houses. Officially designated as the St. Nicholas Historic District in 1967, the enclave is made up of three sets of buildings: red brick and brownstone buildings designed by James Brown Lord in the Georgian Revival style; yellow brick and white limestone buildings with terra cotta trim designed in the Colonial Revival style by Bruce Price and Clarence S. Luce; and dark brick, brownstone, and terra cotta buildings designed in the Italian Renaissance Revival style by Stanford White of the firm McKim, Mead & White. Interestingly, the houses are back-to-back and share rear courtyards. 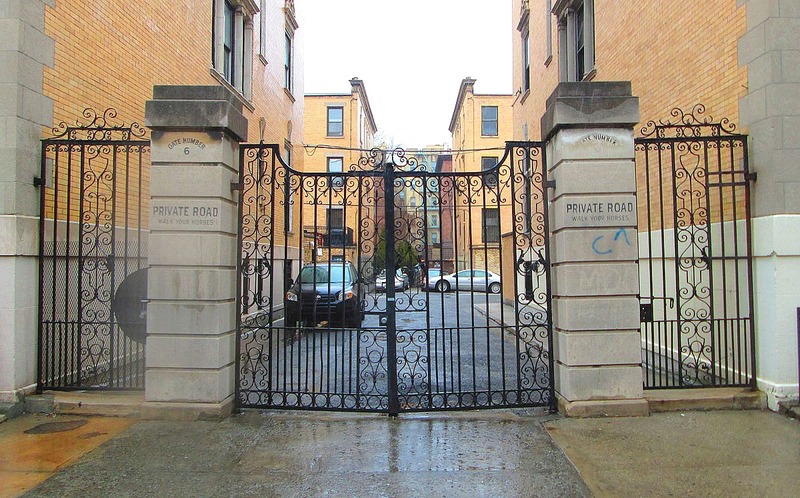 They also have gated-off alleyways, which at one time functioned as horse stables, but today are mostly used for parking. At first, the homes prohibited black ownership, as King envisioned his development as an upper-middle-class white neighborhood. But they sat vacant until 1919, when wealthy African Americans moved in, purchasing the houses for $8,000 a piece. 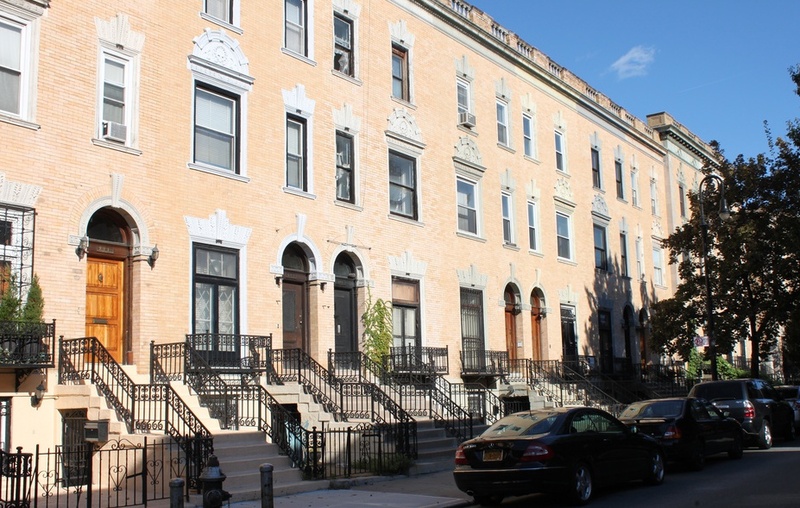 It was around this time that the Strivers’ Row moniker took hold, as those who were lucky enough to buy one of these covetable dwellings had strived and “made it.” Some of these prominent residents included Scott Joplin, the great dancer Bill ‘Bojangles’ Robinson, composer W.C. Handy, preacher and congressman Adam Clayton Powell Jr., and musician Eubie Blake. Socialites and local doctors, such as famous brain surgeon Louis T. Wright, also called the row home. By the 1940’s, many of the homes had been split up into SRO’s (single room occupancy), and unfortunately, much of their original interior detail was lost at this time. But the “Strivers’ Row Style: Uptown Comes Downtown” exhibit at Macy’s will recreate vignettes of the historic interiors as they would have been during the row’s golden age. For example architectural and cultural historian Michael Henry Adams will recreate a room inspired by A’Lelia Walker, the daughter of Madam C. J. Walker, who made millions through her hair care and beauty products. Ms. Walker once visited Egypt, so Adams is incorporating photos from the country, as well as a Louis XVI-style sleigh bed similar to one she had. Other designers participating in the show include Mario Buatta, Keita Turner, and Stefan Handl. The exhibit will be up until this Sunday, October 5th, and admission is free. The second annual Strivers’ Row Home Tour starts at 11:00am this Sunday. Tickets for the self-guided tour start at $25, and a $50 ticket provides a guided tour to three additional houses. 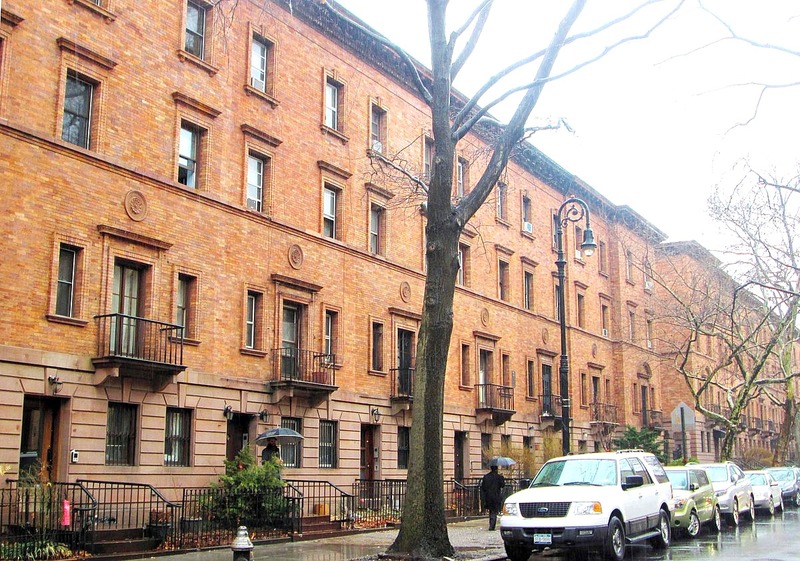 The tour is sponsored by the Strivers’ Row Kings Court West 139th Street Block Association. For more information on the home tour and to purchase tickets, click here.